If you have assets that are subject to estate taxes and you would prefer to keep your estate intact for your heirs, you can obtain insurance which is paid outside your estate (therefore not increasing the amount subject to estate taxes) and your trustee can use the monies to pay estate taxes therefore leaving your estate intact. 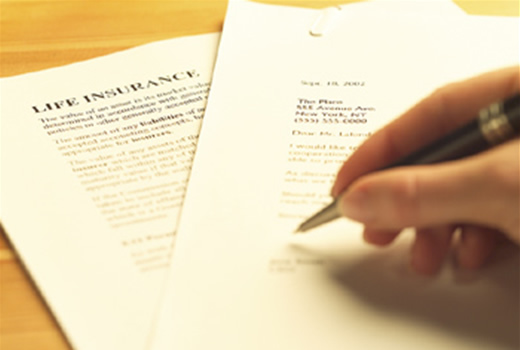 If possible, you should establish the trust before purchasing the insurance. If the trust purchases the insurance and you died shortly thereafter, the insurance proceeds would not be included in your estate. If, however, you established the trust and transferred an existing policy into the trust, you must survive the transfer for a period of three years or the gift will be considered in contemplation of death and subject to a three year waiting period. What estate planning problems can life insurance create? Everything owned in our name at death is includable in our estate by the government for estate tax purposes. That includes the death benefit proceeds of our life insurance policies. When you consider that policies often provide death benefits in the hundreds of thousands of dollars, it's easy to see how a life insurance policy may have a significant impact on our estate tax liability. The challenge may be magnified many times over if your beneficiaries are young adults without the maturity or experience to make wise financial decisions. Sound estate planning should include strategies that will help you control how, when, and why the proceeds of your life insurance policy are disbursed to your beneficiaries.